According to statistics, 77% of VPN users are buying digital content each month. If you’re into selling digital content, then this is great news. After making compelling content, polishing product images, and creating an overall professional website design, you might be wondering why your lead conversion is still low. Unfortunately, converting visitors and traffic will need more than the aspects that meets the eye. If you’re having problems on how to get your visitors to stick around and read more or buy something from your site, then you might be missing something in your strategy. One of the many reasons why a person would leave your website is the absence of the lock icon on the upper left side of the browser. It means that the website is unsafe and prone to attacks. If you don't invest in security protocols, informed customers will most likely avoid your website like the plague. This is a surprising reason because people often overlook this very basic part. Having broken links in your content can significantly reduce your site’s credibility, as these links play an essential part in keeping your site's credibility. Broken links and incorrect page URLs will have negative impacts on your conversion rate as users tend to shy out from doubtful websites. Make sure that your users don’t fall into broken links by having great link building services. Considering that design is not all about graphics, images, and colors. The text colors, backgrounds, and fonts used on your website can also determine how quickly people can digest your website’s content. If your content isn’t that easy to read, then probably you’re also not going to convert those visitors easily. People nowadays really don’t have the inclination nor time to install updates on Flash, it’s just an outdated plugin. Even YouTube has ditched Flash for HTML5 video player. You should update all your content under Flash files and use HTML5 for your animations and videos. Additionally, transcripts, summaries, or notes of the video will provide your users with a better experience if they don’t or can’t watch the video. Even if you need ads to run your website, it does not mean that you have to let them pop up everywhere. As most people don’t trust online banner ads, especially popups. Since you need your users to trust you in order to drive conversions, limiting the numbers and locations of these ads will surely help you in gaining your visitor’s trust. Having unclear navigation options is bad for your SEO and on-site experience. Poorly set-up navigation options and content organization can result in potential sales loss. You should rearrange your site’s navigation by taking account of your user’s needs. 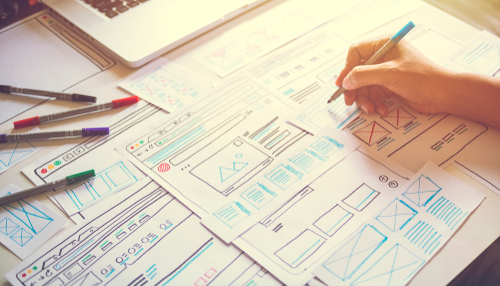 If you're not that confident to rearrange your own content to meet your consumer expectations, then hiring usability testers to expose potential trouble points can help you rearrange your site professionally. Although gated contents can easily drive leads to a site’s sales funnel, protecting and gating everything with the use of restrictive registration can kill your conversion rates. While creating registration opportunities, take time to look at your landing page forms. Does it include unnecessary fields? If yes, then you should remove it immediately. Optimizing your website’s load time should be on your priority list, as it can significantly affect your conversion rates. If you have these issues on your site, then addressing these immediately should be your top priority. However, there can still be other factors that can affect your site’s conversion rates. Always remember to keep your users and their experience in mind, and build a trustworthy and credible website.